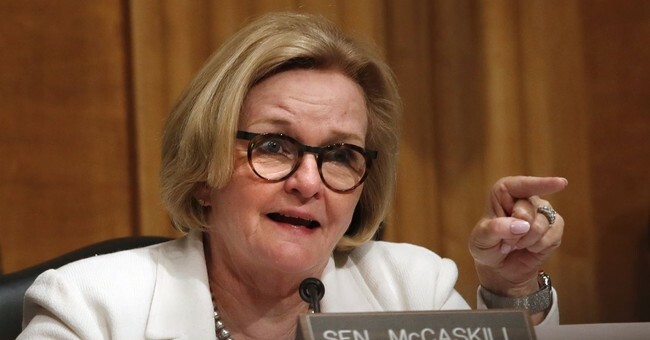 Josh Hawley says "Claire McCaskill voted for 100% of Obama's judicial nominees"
Claire McCaskill did, in fact, vote for 100% of Obama's judicial nominees. Politifact says his statement is "mostly true"
MY GOD this ad is savage?????? In a press release, Manchin singled out just one issue, how Kavanaugh might vote in Obamacare-related cases. The court “will ultimately decide if nearly 800,000 West Virginians with pre-existing conditions will lose their healthcare,” the senator explained. Health care is important. No question about that. But defending the Constitution — that is, ensuring what the legislative and executive branches of government do is in accordance with the critical safeguard of our liberties — is vital. For decades, some appeals court judges and justices ignored their responsibility to the Constitution. They prefered to engage in social engineering, deciding the Constitution meant what they desired. It does not. If a substantial majority of Americans decide the Constitution should be amended, that can be done. The nation’s founders were right to insist that such decisions be made by the people. Kavanaugh has said that if confirmed to the Supreme Court, his allegiance will be to the Constitution as it is written, not to his personal preferences. That is precisely what the nation needs. That, not how Kavanaugh may rule on any single issue, ought to be Manchin’s concern. And if he determines the nominee will be an impartial arbiter, Manchin should vote for confirmation.